Hyperbaric Oxygen Therapy (HBOT) is a specialized oxygen treatment that enhances the body’s natural healing processes. The combination of increased atmospheric pressure and oxygen in a total body chamber treats a wide variety of medical conditions. Healing cannot take place without appropriate oxygen levels in tissues and cells. Many illnesses and injuries fail to heal because sufficient oxygen is unable to reach the damaged area. Inflammation, swelling, and reduced blood flow prevent oxygen from reaching injured tissues. Hyperbaric oxygen stimulates blood flow, which allows for the growth of new blood vessels into the injured tissue. HBOT provides extra oxygen to tissues and cells with minimal side effects. Healing cannot take place without appropriate oxygen levels in the tissue and cells. Many illnesses and injuries fail to heal because of inadequate oxygen levels. Inflammation, swelling, and reduced blood flow contribute to non-healing. 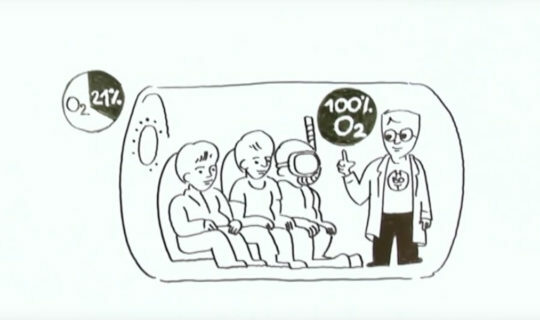 Adequate oxygen is unable to reach the damaged area. Increased oxygen under pressure (HBOT) provides this extra oxygen to tissue and cells with minimal side effects. 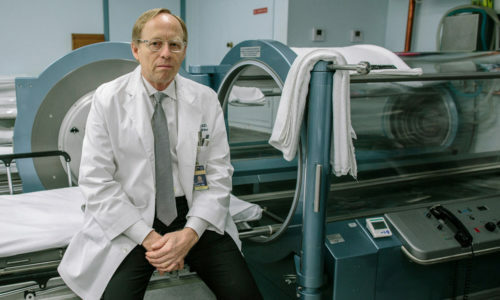 HBOT treats cumulative wounds of life (aging). Yes. If your condition involves injury, wounding, loss of blood supply, or inflammation, we would be surprised if HBOT did not help you. Based on how HBOT works, by treating disease processes that are common to many diseases, it is highly probable that HBOT could help you if dosed properly. Proper dosing is our specialty, this is where Dr. Harch excels. If dosed properly HBOT has an excellent chance of helping you or your loved one. Looking for treatment by the leading expert in HBOT?